L’équipée is a gang of Parisian bikers... who have a bit of a wild side! Throughout their Brazilian trip, the girls never missed an opportunity to enjoy life to the fullest. Here are their best moments, in pictures. L’équipée is a gang of Parisian bikers… who have a bit of a wild side! Throughout their Brazilian trip, the girls never missed an opportunity to enjoy life to the fullest. Here are their best moments, in pictures. 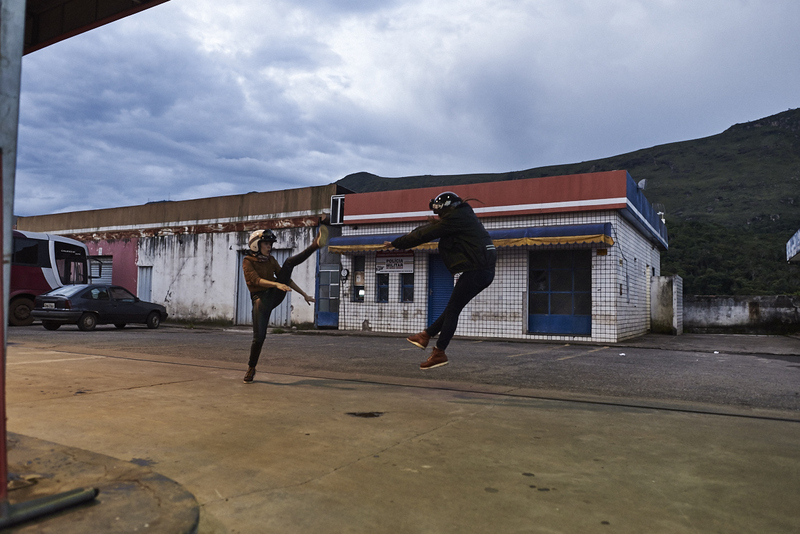 After a challenging ride, Cindy and Cécile loosen up in a gas station… and reenact a scene from famous manga Dragon Ball Z.
Cécile was never very comfortable in water. But for her friend, Cindy, she’s willing to get wet… but only half way! 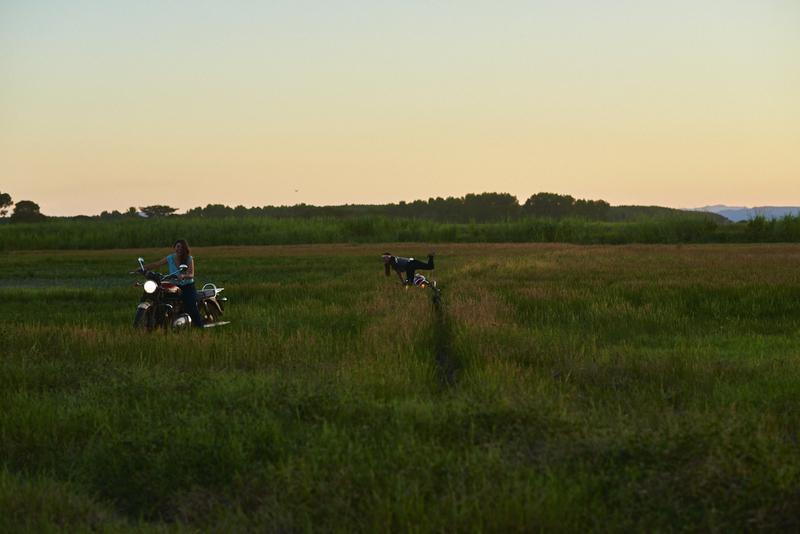 Riding through the Pantanal fields isn’t very smart. Louise B finds out the hard way, when she falls on a dirt rock. … while Louise D does monkey tricks on the upper deck. 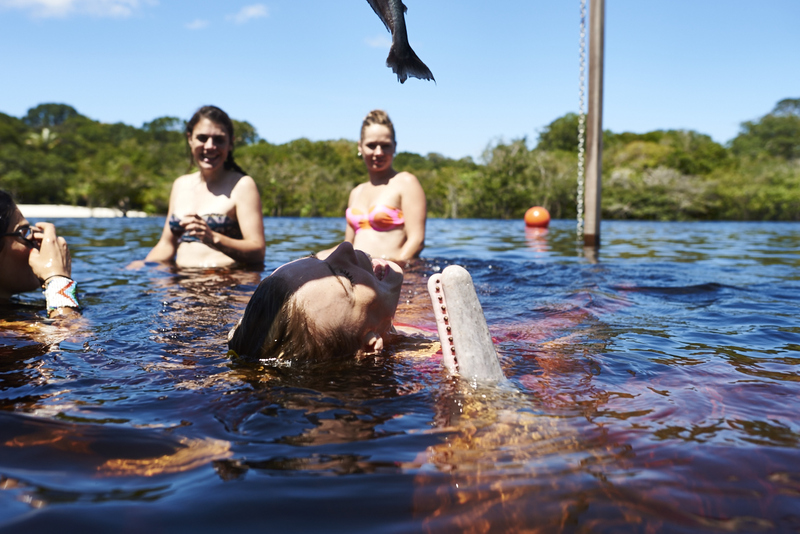 In the Sao Tome village, L’équipee girls swam with pink dolphins. They may not like Louise D stealing their fish! No, no one got married during this trip! 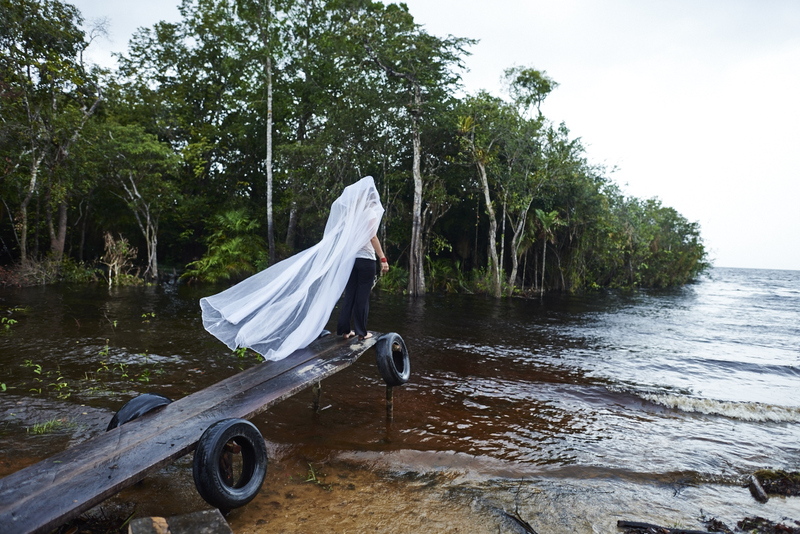 So Cécile just decided to adorn herself… with a mosquito net.